Lawmakers and open meeting advocates are criticizing the meetings Gov. Mike Dunleavy is holding around the state next week. 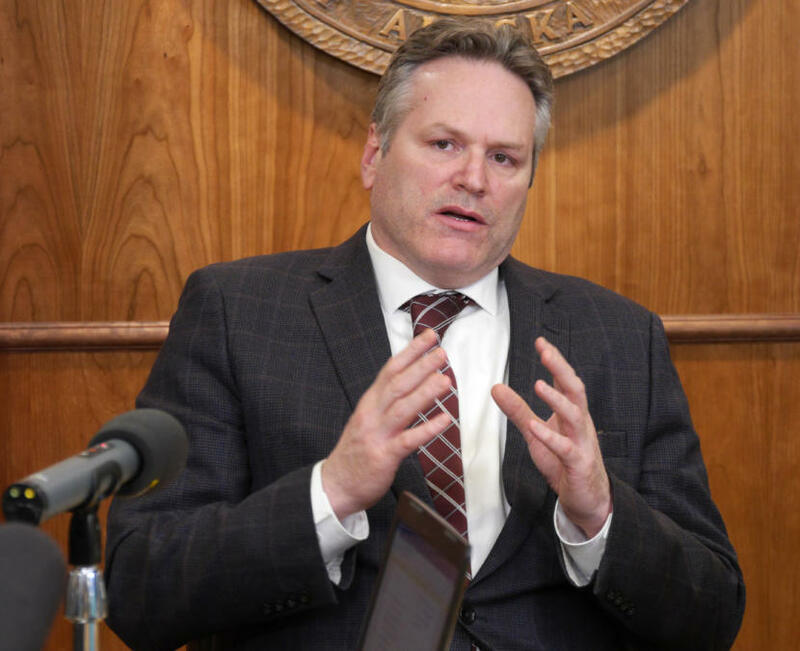 When Dunleavy’s office first announced a series of public meetings around the state, it described them as discussions of the governor’s budget plan and proposals for amendments to the state constitution. The next day, the organization Americans for Prosperity Alaska posted online that it was hosting the events and would require attendees to register for free tickets. The terms and conditions said they would be private events dedicated to discussing Americans for Prosperity’s issues. No signs would be allowed, and AFP would bar the audience from recording the events. Americans for Prosperity is a national organization with state chapters that advocates for limited government. The conservative organization Alaska Policy Forum also is participating in the events. John McKay, an Anchorage lawyer who specializes in open access to government, said such restrictions would be unprecedented. “I’ve never heard of the governor or other public officials scheduling a series of events to communicate with citizens on the fundamentally important issues of the budget, and turning it over to a third party that requires you to tell them who you are (and) show ID,” he said. McKay questioned the legality of saying a meeting with an elected official is open to the public, and then conditioning public participation on providing ID to a third-party group that can limit what people can wear and can compel participants to have their images used in their promotional material. McKay said he applauds Dunleavy for trying to get his message out, but he said this is the wrong approach. “This is just totally antithetical to that purpose — when you turn this over to a stakeholder who then tries to tip the scales here by imposing these unheard-of restrictions,” he said. After the criticism, Americans for Prosperity Alaska released a statement saying the events would be free and open to the public, and that tickets are only being used because it expects the demand to be greater than the capacity of the venues. Dunleavy spokesman Matt Shuckerow said these five events are the first of many different types of events involving different groups that the governor will be speaking to over the next few weeks. In response to a question about why Americans for Prosperity’s involvement wasn’t announced on Monday, Shuckerow said the governor’s office put out the information it had available. The events are scheduled in Anchorage, Fairbanks, Kenai, Nome and Wasilla. Golovin Democratic Sen. Donny Olson offered to pay for the event in Nome, so that Americans for Prosperity Alaska’s restrictions wouldn’t apply. “If it was a question of the Americans for Prosperity organization was paying for it — if they were going to set the agenda, why don’t we just have an open meeting? And then I would go ahead and pay for the meeting place,” he said. Olson said on Thursday morning that he hadn’t heard back from Dunleavy’s office. Dunleavy’s office announced more meetings with individual groups, as well as radio appearances, on Wednesday. A list of those meetings can be found on the governor’s website. He had already announced he would appear on Alaska Public Media’s “Talk of Alaska” next Tuesday.